Trading in options and futures can be financially rewarding, but achieving consistent results requires a sophisticated set of tools. Time is money, as the saying goes. When it comes to trading financial derivatives such as options and futures, this could never be truer. Prices change very quickly, so every second counts. To be successful in trading derivatives, it´s important to have access to real-time data as well as advanced tools. You also need to know what the various gauges are telling you. Using charts to decipher short-term pricing trends, or technical analysis as it is known, tends to drive the trading decisions that investors make on software platforms. Whether you want to trade in shares, currency or commodities, a good software platform will contain the kinds of features that enable you to get the most out of technical analysis. Traders seek to capture the future direction of an underlying asset and position themselves accordingly so they can make profits. Technical analysis, using sophisticated charts, helps to identify attractive entry and exit points. Advanced tools extrapolate trends from technical factors such as the pricing and trading volume of a given asset, considering both real-time and historic data. What´s known as fundamental analysis, meanwhile, tends to be more the domain of the longer-term investor. For instance, analysing a company´s income statement or a country´s economic data can help such investors understand the bigger picture. Some canny investors manage to combine the two disciplines; fundamental analysis identifies the wider trend but technical analysis helps them with timing the trades. Software trading platforms can offer broad functionality. Your trading platform should be able to offer comprehensive, accurate, up-to-date data, along with the built-in algorithms that will ultimately deliver the analysis on which you base your decisions. It´s important to have access to a wide selection of charts that can plot factors such as volatility, moving averages and Bollinger bands. Moving averages are just as the name implies, and give you a smooth trend line by averaging the price data. A Bollinger band, meanwhile, is formed by lines plotted two standard deviations either side of a moving average. As 90% of pricing takes place within the two bands, a move outside the band is a notable event. A range of visual display types are available, including line and candle, helping you to identify the trends and patterns represented by charts more quickly. It´s also useful to have access to flexible charting so you can compare different assets against each other. Algorithms can enable you to implement more sophisticated trading strategies that have been pre-built for you. Using stop and limit orders can be used so you automatically close out a position once a certain price is reached. This means you can take profits when the price hits a certain level, but also that you can limit your losses. In addition, automated trading is used to open and close positions based on technical signals. Algorithms can enable you to implement more sophisticated trading strategies that have been pre-built for you. Software platforms may also offer backtesting, which allows you to simulate how well trading strategies perform against historical data over a given time period. Buying call options, also known as taking long-call positions, can be used to profit from rises in indexes or stock prices. 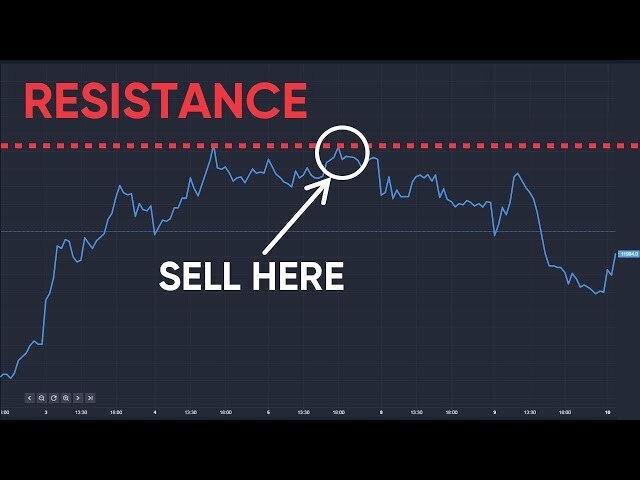 Purchasing put options, also known as long-put positions, means you could also potentially make money from price falls. Investing in long-calls means you make a profit if a stock price rises above a certain level. If it doesn´t rise to that level, you just lose the amount of money you paid when you initiated the call transaction, known as the option premium. With a long-call, the good thing is that your losses are limited, but your potential profits are unlimited. With a long-put, you make a profit when the stock price falls below a given level. However, unlike long-calls, your potential profits are capped because a share price can only fall so far; it cannot go lower than zero. Again, the good news is that you know your maximum loss is limited to the option premium paid an initiation. As option premiums tend to be relatively small versus the possible gains on profitable contracts, investors can potentially get a good return on their money. 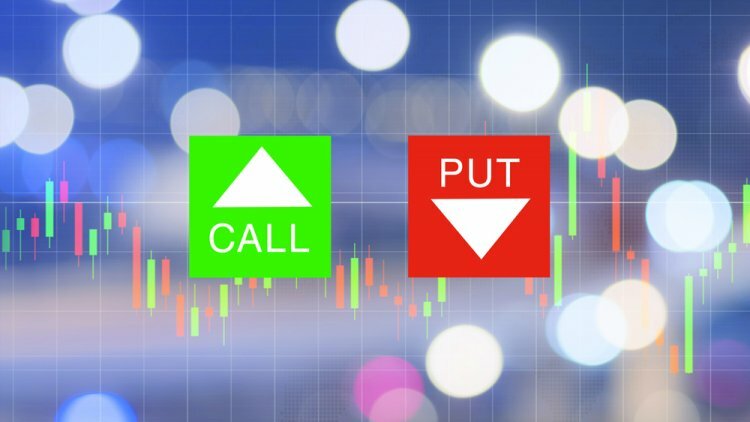 Put and call options mean you can potentially profit from price rises and falls, while keeping your losses under tight control. Futures contracts originated in agriculture as farmers sought to lock in a certain price for their harvest. Today, they are available in other commodity markets such as oil and metals, as well as in financial markets to trade in currencies and shares. In contrast to options, futures place an obligation on the buyers and sellers in the contract to actually buy/sell the underlying asset at a certain date. Using trading platforms, the holders of futures contracts can close out their positions at any point during a given trading day, well before the contract expiry date. To do this, you simply take an opposite position. If you bought the contract, you sell it. However, it´s worth remembering that futures are riskier than options because potential losses are theoretically unlimited. These days, there´s no need to compromise. A good software trading platform should give you top-quality data in real time, backed by all the latest high-tech features and functionality. Making money from trading on a sustainable basis means you have to be able to make the right decisions based on data and analysis. It follows that the data and analysis you use has to be of high-quality. Not every single trade will be profitable, but you will want to ensure that a good proportion of trades are profitable. You also have to be able to limit your losses for when trades don´t go your way. Algorithms can be used to implement pre-built, sophisticated trading strategies. Your platform may also enable you to trade via your smartphone, giving you additional flexibility and convenience. For those starting trading for the first time, it´s also worth considering the level of training and support that´s available from any given platform. Having the best-quality data and tools at your fingertips means that on average, over time, you could make far more money than you lose. In this way, an options trading account could potentially give you a good return on your investment. The Cyprus Securities and Exchange Commission (CySEC) offers the gold standard in regulating software trading platforms. It´s vital to make sure that your trading platform is regulated. You need to have peace of mind and feel that you can fully trust the platform. Once you are ready to start trading for real, you will want to both deposit and withdraw funds through your trading account with total confidence. The Cyprus Securities and Exchange Commission (CySEC) was the first financial regulator to recognise and regulate binary options on a global basis. While CySEC previously faced some criticism, over recent years it has tightened up its act. CySEC was established in 2001, and subsequently came under the scope of European MiFid regulation in 2004, the year Cyprus joined the EU. MiFid status means it is recognised by virtually all European countries. Today, CySEC purports to offer the gold standard in regulating software trading platforms.